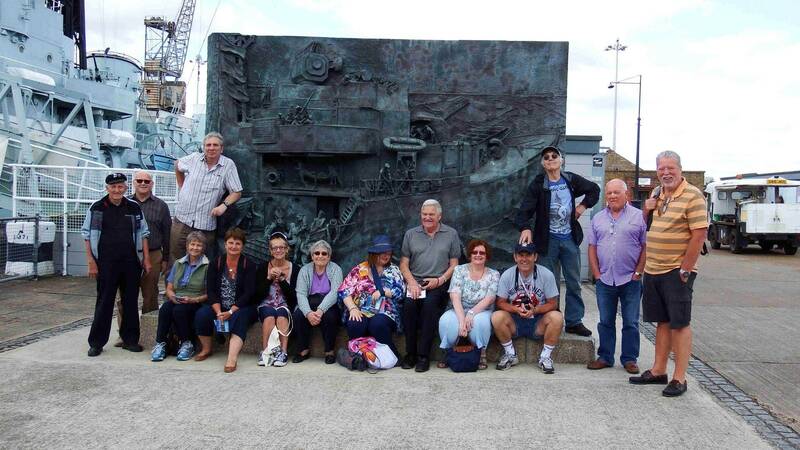 Visit to Chatham Dockyard 25th June 2014. The sun shone! We got away from Crayford by quarter to ten. We arrived safely and Mike got a great deal on the entrance tickets, apparently we were all senior citizens!. A wander round the RNLI lifeboats to start us off, Steve was on form and on “display” – déjà vu? After a few poses for “The midwife,” Steve was there and he was joined by Guy and Tony because of their cycling expertise! Then a stroll up to the Victorian ropery, Steve was then the first in the queue to volunteer and again joined by Guy to help with the rope making demonstration, making the rope the “old fashioned “ way, it suited them well. They came away with a piece of the rope they made. Clever Boys! Then we had a nice lunch in the Railway workshop. The bravest of the bunch went to do the “OCELOT” submarine and came out thinking they were qualified sub mariners. 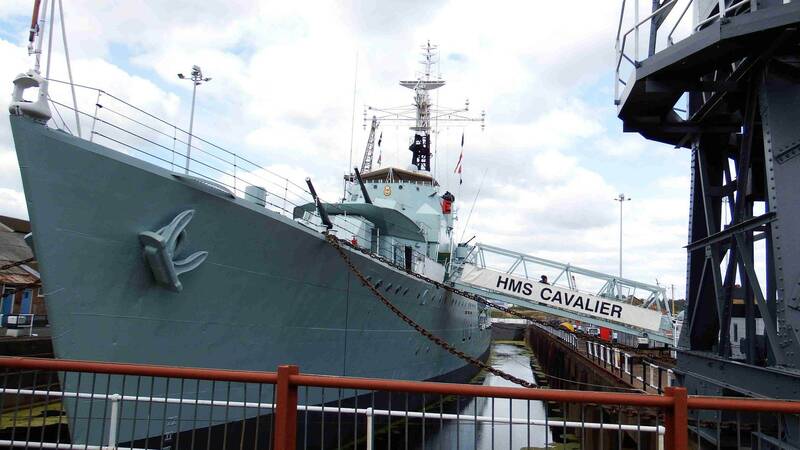 The less adventurous of us had a walk round “HMS CAVALIER” battle ship. 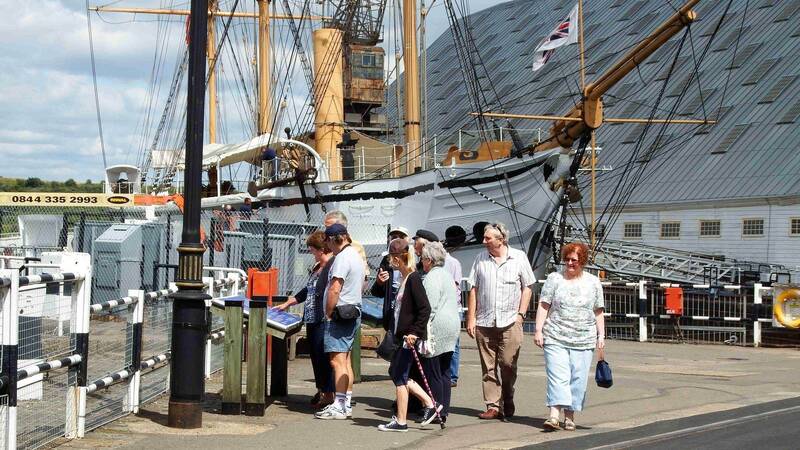 We then regrouped and all visited the fascinating “HMS GARNET” with a guide on board who made it so interesting. A whistle stop tour of the “OLD SMITHY” where the children of the group (Steve and Liz) made rockets! Finally after a coffee break we did the “HEART of OAK” display learning all about the history of the dockyard and the great wooden ships that were built there. We then headed home with Gavin making his maiden voyage on BATS which we all survived. Well done Gavin! John kept on about it being the best day out he has ever had. It was a great day, great company and lots of fun.